Unless you live in the US, Mexico or Canada, it is very likely that you will have to fly into the United States for your Route 66 Road Trip. 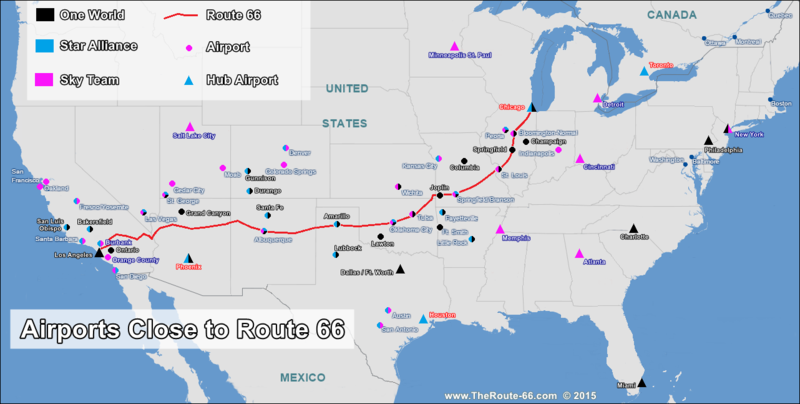 Even those living in North America may chose to take a flight to reach their Route 66 destination rather than driving there. To do so, you will have to choose an airport located close to the starting point of your Route 66 Road Trip and another near the end of your journey, for your return flight. In our Tips page we detailed how to plan your trip, so you do know your Itinerary, starting and ending points. This will help you pinpoint the closest airports. As you can see in the map, there are two major hubs at both tips of Route 66: Los Angeles and Chicago, many airports along the route itself and others quite close to it. Below we outline some air flights tips on ticketing, reservation and how to book a cheap flight to the US. The prices of tickets are subject to different influences: competition, seat inventory availability, sales and demand. Most of them are beyond our control and so is their impact on air fares, but, fortunately, a pattern does appear regarding ticket prices. Check frequently and book early and you will have a high probability of getting a good deal. Be flexible in your travel plans and plan as far ahead as possible. Although the lowest fares are usually blacked out during holiday periods, you might be able to get a discount fare if you fly on the holiday itself. Compare fares of different airlines. A connection (change of planes) is sometimes cheaper than a nonstop flight (you risk a misconnection if your first flight is delayed). Give yourself time for the connection and take an early flight -they are less likely to be delayed. Flying into an airline "hub" may be more expensive than flights into other nearby airports. Best Booking date between 221 and 121 days before your travel date. The mean value: 171 days prior to travel. Book in the last 100 days and you will pay more. Once you pass the 2 week deadline, the costs go up a lot. The savings vs. an average ticket if you buy it 171 days before departure: 36%. For Domestic flights in the US, the lowest priced fares are found 50 to 100 days before departure; and the lowest fares are found 57 days prior to departure. Expedia's report was less precise: Tuesday is the least expensive day to buy a ticket if you do so 3 or more weeks prior to your departure date. If you are buying your ticket less than 3 weeks before your flight date, do so on a Sunday. The cheapest day. Of course, the margins are small, around 5%, so don't expect saving a lot of money. Those who can leave on Thursday and return on Monday will benefit the greatest savings on their air tickets. Excess Baggage: check your free baggage allowance and weigh your bags, otherwise you will face excess baggage charges. Bags over 32 kg are overweight and cannot be checked in at the counter; they must be shipped separately as freight or cargo. Preferred seats. You may be charged for advance seating assignment (if you travel with your family). Beverages, snacks, video entertainment, audio headsets on domestic flights. Discount fares are often non-refundable, so make sure everything is correct before making your booking. The deadlines for check-in should figure on your e-ticket. You should be at the gate not later than 45 - 15 minutes from departure time depending on the carrier or if it is a domestic or an international flight. Some countries (not the case of the US) have a migration verification prior to the security check, and it can take some time to get it done. 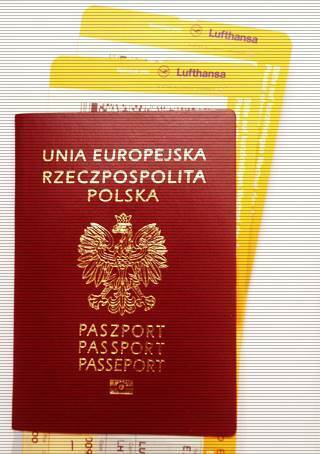 Give yourself plenty of time for the Security Check, have your photo ID (or passport) handy. Carry only permitted articles in your carry-on bags (i.e. no sharp items, and limited quantities of liquids or gels) and place them in resealable plastic bags. Be patient and corteous at all times, they are doing their job to keep us all safe. Check the airline ⁄ country restrictions. You are usually allowed one carry-on bag plus a personal item (briefcase or purse). Airlines will usually rebook you in their next flight with available space. If the delay will be great, they will endorse your ticket to another carrier. But they are not obliged by the law to do so. During holidays or peak travel times, this can be a problem. If you choose to cancel your trip due to delays, diversions or cancellations, you are entitled to a full refund of the unused transportation and any bag fees you have paid. 76.8% of flights arrived on time. In the US, each airline defines how to handle delayed passengers. There are no Federal requirements regarding amenities or services. If you are delayed, ask the airline staff if they will provide meals or phone calls. If the cause of delay is bad weather or something beyond their control, you will probably have to take care of those services. Only 0.56 out of every 10,000 passengers were denied boarding. Overbooked Flights: Selling more tickets than there are seats is not illegal. Most airlines overbook their flights to compensate for "no-shows." If you cannot board a flight due to oversale you will be informed in writing about your rights and you will usually receive monetary compensation. Know that if the airline is not able to get you to your final destination within one hour of your original arrival time, the airline must pay you an amount equal to 200% of your one-way fare, with a maximum of $650. To receive this payment, you must have a confirmed reservation. 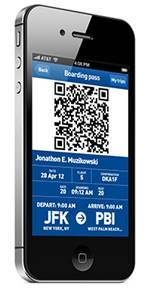 You must also meet the airline's deadlines for ticketing and check-in. An airline may offer you a free ticket on a future flight in place of a check, but you have the right to insist on a check. 0.05% of flights had tarmac delays of 2 or more hours. After a 3 hour delay (domestic) or 4 hour (international) you must be allowed to deplane. Food and water will be offered after 2 hours. Lavatories must be operational. Upon arrival, check the screens for your gate and departure time of your connecting flight. Get to gate before it closes. Collect your bag, check the bag tag to make sure it is yours (many bags look alike). Take the items that you will need during the first 24 hours in your carry-on bag, they will come in handy if your checked bags arrive late. Buy a bag with TSA approved locks: (see www.tsa.gov), the security personnel can open and re-lock them. Other locks will be broken if inspection requires your bag be opened. Tag your bags with name, address and phone ⁄ e-mail. Place the same information inside the bag in case the tag falls off. 4.33 out of every 1,000 passengers reported a "mishandled baggage" incident. If you bag does not arrive or, it arrives open, unlocked or damaged, check its contents to see if anything is lost or damaged. Before leaving the baggage pick-up area, report the incident to the airline counter. Have a written report issued and keep a copy. Your missing luggage will surely arrive on the next flight. Your address will be required for delivery. So don't place irreplaceable or valuable articles in your check-in bags. Consider taking Travel Insurance coverage too. Or, ask about purchasing "excess valuation" at check in. You are entitled to a reimbursement for the expenses that you incur while waiting for the delayed bag (such as toiletries or even a change of underwear). If they don't provide you with cash, ask what types of articles are reimbursable and keep all receipts. If a bag arrives damaged, the airline will usually pay for repairs. If an item can't be fixed, they will negotiate to pay you its depreciated value. The same is true for belongings packed inside. If the bag does not appear and the airline declares it lost, you will have to fill in the forms they provide and cover their estimation of the cost of the items lost (not their original price or even their replacement cost). Airlines can limit their liability for lost baggage, and on the Office of Aviation Consumer Protection and Enforcement, the maximum an airline pays on lost bags and their contents is limited to $3,300 per passenger on domestic flights, and $1,131 per passenger for checked baggage on international flights. Check the Department of Transportation's Air Travel Consumer Report. 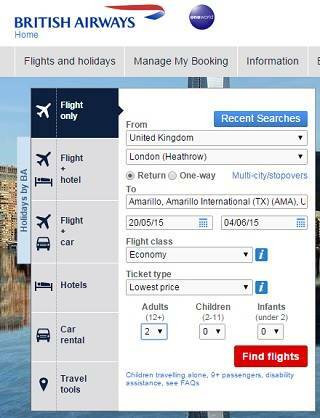 If you have a choice, you can go directly to the airline's website and check fares. Compare with other carriers and book online.